Game wardens in West Virginia work for the state’s Division of Natural Resources and are known as natural resources police officers. 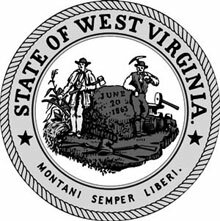 West Virginia lies entirely within the Appalachian Mountains, and the state boasts more than 50 state parts, state forests, and management areas. West Virginia’s combination of mountains, rivers, and plateaus creates a diversity of habitats and a beautiful place to live and work. Natural resources police officers in West Virginia frequently work in tandem with special agents from the US Fish and Wildlife Service to protect the state’s animals and plants, because state and national natural resource areas and recreation areas overlap. Natural resources police officers in West Virginia also perform search and rescue operations, take part in natural or manmade disaster recovery, and even work undercover to apprehend wildlife violators. This creates significant challenges for West Virginia’s natural resources police officers. These officers must not only be highly proficient in law enforcement and rescue techniques, they must also be highly knowledgeable about West Virginia’s ecology and natural habitats. Therefore, the Division of Natural Resources sets the bar high for those it hires to be natural resources police officers. Applicants with a thorough understanding of the requirements and application process for these positions will be better suited to present their relevant background and skillsets in the best light to enhance their chances of being chosen. Read on to determine which qualifications to showcase in order to become a successful game warden applicant. The ideal candidate for a natural resources police officer combines a strong sense of justice with law enforcement expertise and an exhaustive knowledge of the animal and plant life of West Virginia. Such candidates are more likely to proceed through the hiring process if they assertively present their skills and expertise for a natural resources officer position. Citizenship: Proof of U.S. citizenship or of permanent resident alien status for those who are eligible and have applied for citizenship. Must be a resident of the state of West Virginia at the time of appointment. License: A valid West Virginia-issued driver’s license is required to apply for this role. Individuals must maintain a good driving record. Vision: Visual acuity correctable to 20/20 in each eye. Normal binocular color vision with a full field of periphery is required. Applicants who have had surgery to correct poor vision may require additional documentation. Physical Readiness: The applicant must be in sound physical condition and able to swim 37.5 yards while fully clothed, as well as meet or exceed timed and ‘to-failure’ fitness testing based on gender and age. The US Bureau of Labor Statistics reported that the most experienced natural resources police officers in West Virginia whose salaries fall within the top 10% earned an average of $53,220 ($24.59/hour) in 2017. The median salary was $40,030 ($19.25/hour) that year, while the average was slightly higher at $41,540 ($19.57/hour).